In the Open Heavens Devotional of this morning by Pastor E.A. Adeboye, the General Overseer of The Redeemed Christian Church of God. It is about Christians being God’s Watchmen. Watchmen are those that have been charged to keep watch and warn others of impending danger – Read Ezekiel 33: 1-6. They are those that the eyes of their understanding has been enlightened and specifically instructed for this task. As a Christian, born again and spirit filled you have been charged to go into all the world and preach the gospel, warning people of eternal death if they do not receive the unconditional love of Jesus Christ, the truth, the way, and life, who says, no one can come to the Father except through Him -John 14:6, and no one that comes to Him will He cast away – John 6:37. To be effective in this charge then, ” we need to avoid falling into the sin of covetousness, pride, self-centeredness, love of money, and ambition for power” Open Heavens Devotional. These vices is what has enabled the world to creep into The Church, where materialism is glorified, holiness without which no one can see the Lord is at best superficial, men and women have become lovers of self, vain, and lukewarm. The Lord is saying to us all, ” return to the great commission”. Let the undiluted word of God be preached to all, in your sphere of influence speak the truth of the word, glorify Christ in your word, body, and in all your ways! Do not let the fire of the Holy Ghost be quenched. We must work the works of Christ, not our own agenda, Christ Kingdom, the people He died for must be warned! There is damnation awaiting the wicked, everyone working unrighteousness, hiding under the umbrella of Christianity to commit evil will be damned. We all must repent, so that the fire of the Holy Spirit can have full expression in us, and convict sinners of their sin. Praise the Lord in the storm! Praise God’s holy name still!. You Oh Lord, are who you are regardless of the storm and the heartache we may be having. We will praise you in the storm, in the high seas and fiery furnace for you alone art God. Mighty you are Lord, full of grace and mercy. We worship you still Lord! Friends, what is ailing you? What season are you in this moment? Hope thou in the Lord and be encouraged. The Lord is good and full of compassion. He will help you, you only need to call on Him in faith. He will comfort you in ways you can’t even imagine. If you do not have a relationship with the Lord, now is the time to seek His face in prayers. Ask the Lord to come into your heart. Let Him help you to see that which you need to see and hear that which you need to hear. The Lord is God and He created us for His purpose. Jesus bids you to come today, all ye that labor and are heavy laden and He will give you rest – Matthew 11:28-30. Accept Jesus as your Lord and Savior today, believing in your heart that He died to give you life. Confess His Lordship over your life for He loves you with an everlasting love. 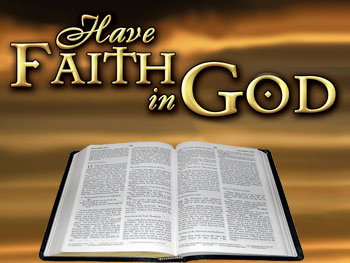 John 1:1 In the beginning was the Word, and the Word was with God, and the Word was God. 2 He was with God in the beginning. 3 Through him all things were made; without him nothing was made that has been made.4 In him was life, and that life was the light of all mankind. 5 The light shines in the darkness, and the darkness has not overcome it. With Christ Jesus in you, you will not be consumed, the fire will not kindle upon you, the storm will not overcome you. Hold on!! The light will shine upon the dark places. Hold unto the Lord’s mercy! Faulty Structure Reined In! Holy Spirit! I was praying yesterday and I blurted out some words that made me start thinking about what I was actually saying! You know like, “where did that come from?”. Father every structure that has been put in place by the devil in and around the hearts of men and women, around and in the body of believers that is mitigating against your plan and purpose to bring in much more people into the sheepfold, let such structure be destroyed today in Jesus mighty name. You stated in Matthew 16:18 And I say also unto thee, That thou art Peter, and upon this rock, I will build my church; and the gates of hell shall not prevail against it. Whatever is not of you in and around me, and all must come down Lord! Like the wall of Jericho fell down flat – Joshua 6:20, Hebrew 11:30, Oh Lord, every invincible barrier mounted to keep as many as you have called to possess the gift of Salvation, may those walls fall down flat in Jesus name. Every wall, every barrier standing between your breakthrough in all areas of your life must come down in Jesus mighty name. Every plant that you have not planted in and around your body, the body of believers, Father Lord, let it be uprooted in Jesus name. Then I thought about what I was saying and realized that, while men slept, the enemy came in and sowed tares Matthew 13:24-30. Tares of disharmony, hatred, greed, pride, anger, jealousy, envy, distrust, suspicion, confusion, and all sort of evil, so much so that in order to “protect ourselves” we think, that is, maintain the status quo, we build walls to take charge, to be in control, thereby relegating the Holy Spirit to the back bench of our life. We go ahead many times, ignore and sideline the Will of the Father many a time. 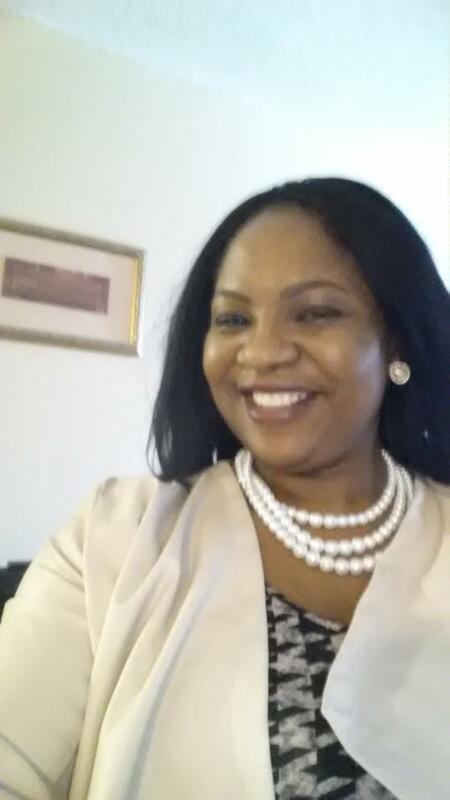 Every tare, every error, lies – deception of the enemy, sown into my life, family, local assembly, denomination and the entire Church of the living God, be uprooted in Jesus name. Holy Spirit have your way, take the rein of my life, our life, family, Church, move like never before in Jesus name. Let thy kingdom come Oh Lord! There are so many tares in your life and mine if we want to be honest about it. There is stuff that we would rather do without that is holding on, weighing down, hindering, limiting our highest self in living and breathing Christ. Many are destined to be an evangelist, pastors, missionary, God’s battle ax, but are unable to reach even their own family for Christ this moment. Why so? Why? While we were unaware, thinking we had everything under control, reined in, the enemy planted trees, shrubs, and the likes to distract us and ruin our testimony. Will you go to the Lord in prayer today and ask Jesus to step in and touch every area of your life? Ask for forgiveness! 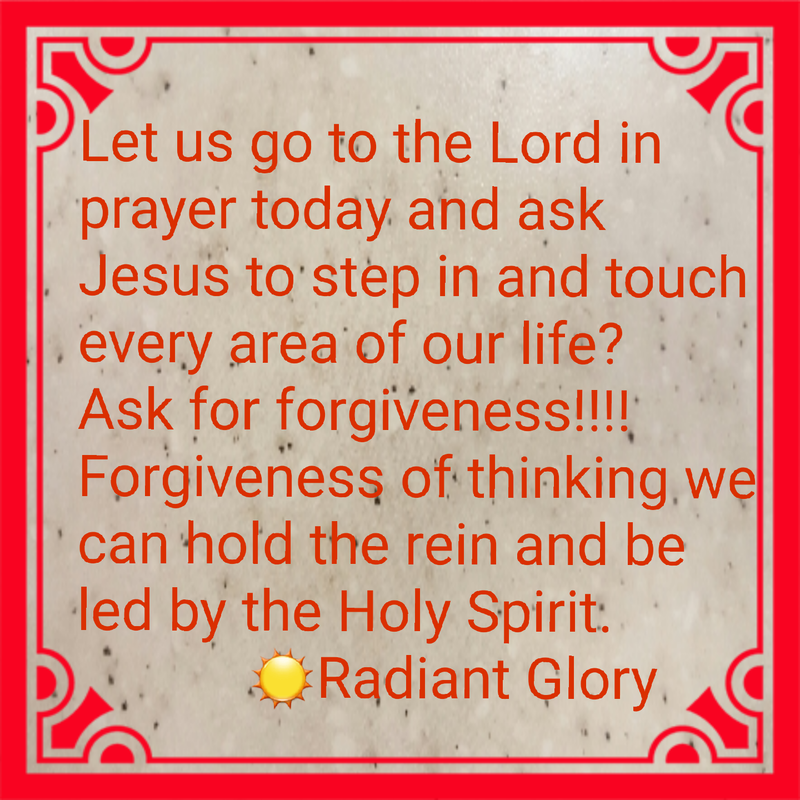 Forgiveness of thinking you can hold the rein and be led by the Holy Spirit. Lord Jesus forgive me and my friends for every form of unrighteousness in our thoughts, words, and actions, in what we have done and those we have failed to do. Please, Lord, we welcome you into our hearts, our lives, have your way in us. Take the rein Father, and lead us to do that which is of your great pleasure we pray in Jesus mighty name. Thank you, Lord, for answers for we know you have heard our sincere cry for help. Be magnified Oh Lord. Remember that God’s intention and will for you is not because of You, but of Him. It is for His great name! Ezekiel 36:22 “Therefore say to the Israelites, ‘This is what the Sovereign Lord says: It is not for your sake, people of Israel, that I am going to do these things, but for the sake of my holy name, which you have profaned among the nations where you have gone. Quit beating yourself and embrace the unconditional love of God. Do not take this love for granted though! Now that you know God loves you unconditionally, then you must contend against everything mitigating against your peace, message, recipients, channel, and circumstances. You must wage war against every encumbrance within and without. I was able to get out of that phase by the help of the Holy Spirit, by putting the spotlight on Gods’ Will, Plan, Purpose, and desire for me. Jeremiah 29:11 For I know the plans I have for you,” declares the Lord, “plans to prosper you and not to harm you, plans to give you hope and a future. Resistance is a ploy to wear you out so your dreams can die and he, the devil can gloat over you. You have to desperately contend for your life, your message, your purpose, your destiny for it to be fulfilled. You must never lose hope on the journey. Keep taking steps after steps, trusting God even when you do not see any cloud of the promised rain. Dear friends, continue to trust in the Lord with all your heart and lean not on your own understanding; in all your ways submit to him, and he will make your paths straight Proverbs 3: 5 and 6. Every promise shall be fulfilled. Stay focus! Genesis 38 tells the story of Judah and Tamar. The wickedness of Er and Onan and their subsequent death. The Lord Himself put them to death. How Tamar must have been ridiculed by those without discernment. Two husbands and she couldn’t conceive and bring forth a child. Accursed woman some would say! I can just imagine Tamar in todays world. The snickering, gossips and label that would have been slapped on her by the “iya yards”, the “Good Women” of today, ignorant of the lofty plans God has for Tamar, imagine this woman in the lineage of the Lord Jesus Christ! The Lord has not seized to amaze me. Every story, every day and hour amazes me. The Lord is Sovereign! Whatever He says comes to pass. Do yourself a favor and stop striving with your maker. Then Judah, a man of promise, from the seed of Abraham, born of promise, falling prey to that prostitute, that good for nothing woman by the way side eh! Friends, I want you to know that things are not always the way it seems. Without discernment and total dependency on God through His word you will be at a loss, deceived and cheated out of your destiny, the best God has for you. The purpose of God must always be fulfilled, for He planned it before the foundation of the earth was laid. The Messiah has been scheduled to come from Judah’s loin, however, his sons wickedness put him at a spot. Tamar’s womb was ordained to carry that precious seed also. Can you see our Sovereign God working it out according to His plan? In your life’s situation and circumstances, can you see the hand of God? It does not matter the prognosis, diagnosis, situation and circumstances, God always works All things out for the good of His children. You’ve been married for a while and no child yet? Waiting for so long for your own bone of your bone? How about gainful employment? Your own business? Restoration of broken vows? A life shattered? Whatever the case, are you a child of God? Good! Be rest assured God is working it out for your good. 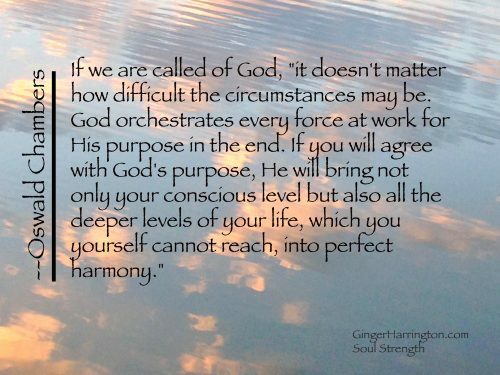 Those seemingly unpalatable situations, my friend are working out the plan and purpose of God for your life. Just take a breather dearie, look back, around, think deeply, look up, can you see God? Yes? He is working it out according to plan for you. He knows your frame. Lean on Him with your whole heart. He will not fail you. Peradventure you don’t know if you are a child of God or not. Would you this moment ask Jesus to be your Lord and Savior? Confess your sin and ask for forgiveness. Declare the Lord Jesus as your personal Lord and Savior, invite the Holy Spirit to guide you in this new walk of faith, flee from all appearances of evil. Dwell in the presence of the Most High God. Walk with the Lord and you will fulfill destiny. Trust ye in Christ Jesus for He loves you.